You can now use two-way radios to minimize background noise while communicating in the workplace. Today’s radios have several advanced features that will cut out excess noise in busy environments so that you can speak to your co-workers more clearly and effectively. In this article, we discuss some of those technologies. Automatic Gain Control – An audio signal, whether whispered or yelled at full volume, will come out clearly and crisply, at a uniform volume on the receiving end. This is a convenient feature for users that have different kinds of microphones, with some directly facing their mouth and others clipped on to a lapel. Audio Profiles – With audio profiles that are selected by the user, a person can set up their own audio profile to match their microphone volume and hearing preferences. They can also use this feature to set up different volumes for environments that have various noise levels. Audio Feedback Suppressor – This feature uses an advanced algorithm to block feedback from radios in your immediate vicinity. This is very helpful in busy workplaces where staff must work alongside each other and occasionally communicate with different people elsewhere in the facility. Windporting - A remote speaker microphone may have this feature, which reduces the howling sound that can be heard when trying to speak to someone in a windy location. This is very useful when communicating outdoors during severe weather conditions. It also keeps the microphone free of water, which is helpful when it’s raining. Intelligent Audio – This feature monitors background noise and automatically adjusts the volume of the speaker, improving audibility via the microphone. With loud background noise, the speaker volume is increased, so that manual adjustments are no longer necessary. SINC+ Noise Cancellation – With this advanced noise cancellation, background noise is permanently suppressed, effectively handling very noisy locations and providing optimal sound quality. It also maintains crisp detail in speech when moving between loud and quiet areas, automatically changing the suppression level based on background noise volume. IMPRES Audio Accessories – These special accessories from Motorola improve audio processing in two-way radios. They have their own set of parameters that are communicated to the radio’s DSP (digital signal processor). The audio signal from the microphone is then fine-tuned, with the gain adjusted to fit the situation, such as when the person is speaking away from the microphone. These advanced audio features can be found on various Motorola radios and accessories. For more information, contact your two-way radio experts at Tech Wholesale. 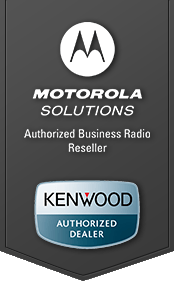 We are an Authorized Motorola Dealer with the best prices and selection.